Because emergencies do happen, emergency care is available on a 24-hour basis for our clientele. An after hours call to 215-256-4664 is handled by our answering service and the message and phone number are forwarded to the veterinarian on call. Your call will be returned as soon as possible by one of our veterinarians. 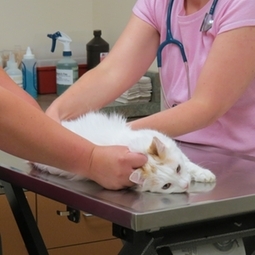 We have a veterinary assistant monitoring hospitalized patients around the clock.